This N'FINITY Corner Rack is the perfect complement to your N'Finity Racking system, placed at either end to use as a display case for stemware, collectibles and books on wine. Quality-crafted of solid mahogany, it creates a custom finish in the cellar, living room or great room. This N'FINITY Corner Rack is the perfect complement to your N'Finity Racking system, placed at either end to use as a display case for stemware, collectibles and books on wine. 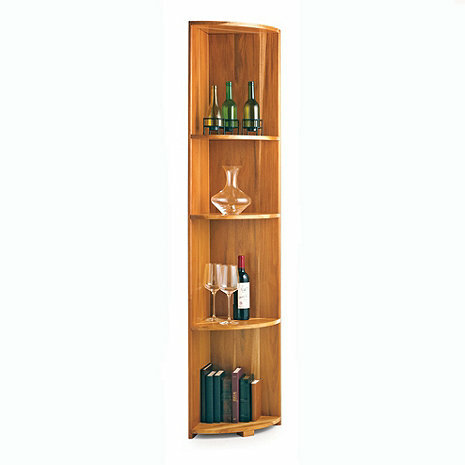 Quality-crafted of solid mahogany, it creates a custom finish in the cellar, living room or great room. Four shelves. The quarter round shelf is perfect. A quality product looks great in my wine room.